...but there is never a wrong time to begin planning and thinking about your family photos. I know, I know...life get's busy. I get it. And its hard to get in the mood of fall when it's so hot outside you can cook an egg on your car. But just about the time you remember you haven't booked, is just about the time everyone else does too. Missed out on Santa pictures because they booked up or wound up in long lines at the mall. Had to book a different photographer because my first choice was booked up. Don't let it happen to you! So while you are thinking it over (and melting from this heat! 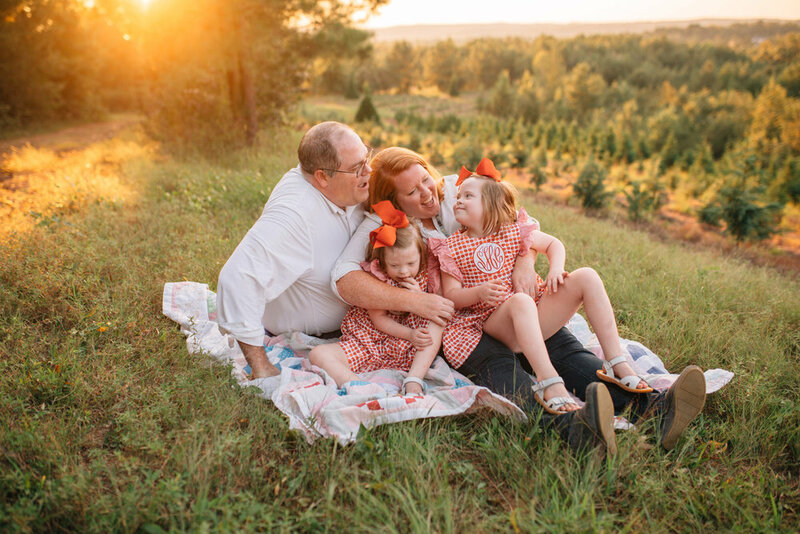 ), check out this wonderful family who booked early and got the Christmas Tree Farm all to themselves! Is there anything better than love and light? This session is full of it. And I know, I see you Bo…there is a joke in there somewhere. ;) But in all honestly, I truly enjoy making connections with other families. You guys have a good one.